Holiday movies are the absolute best during this season! We’re getting into the holiday spirit by watching some of our fave holiday movies on Netflix and other streaming services! Check out some of the classics you can’t miss, some family-friendly holiday films, funny holiday movies, dramas, and of course, rom-coms that’ll have you reaching for bae. Snuggle up with some holiday drinks after getting your holiday shopping list done, kick back, and hit play on some of these holiday faves. Let’s face it, you’re either a holiday person or you aren’t. And if you aren’t, this article isn’t for you. Try one of our top recommended scary TV shows instead! If you are, stick around for some great ideas for movies that’ll give you warm feels. 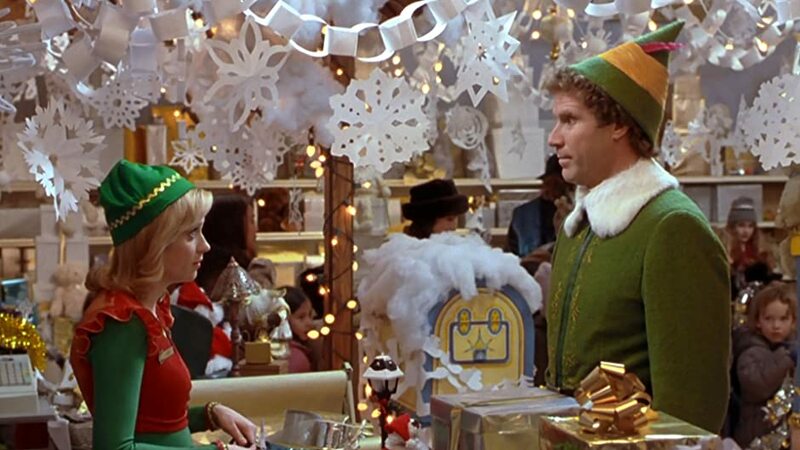 The best way to spread cheer this season is quoting all the Elf movie lines for all to hear! This family friendly comedic film brings Will Ferrell’s character, Buddy the Elf, a human who was raised by Santa’s elves in the North Pole, through the seven levels of the candy cane forest to NYC where he reunites with his real father, a not so jolly businessman on the naughty list. Trying to adjust to city life proves to be strange yet hilarious for Buddy, but as long as you’re in the holiday spirit anything can happen. Fifteen years later and it’s still a staple Christmas movie you won’t have a hard time catching on Netflix or cable TV all holiday season! Adam Sandler is back again in this animated NSFW Hanukkah movie. It’s a classic, absolutely revolting and hilarious at the same time (as Sandler does), and will be a change of pace from your usual holiday films! Davey Stone (voiced by Sandler) finds himself in trouble with the law. Davey has one chance for redemption by volunteering for the youth basketball league. Thus, sh*t happens, and you’ll just have to watch to find out what! If you’re a sucker for crude humor, you’ll love this movie! Bill Murray (and a bunch of other celebrities) pull off a comedy musical for the ages in this very special Christmas special. You’ll enjoy watching some of your fave celebs in cameos on this show, singing along, and trading cheesy jokes. At only 56 minutes, and streamable on Netflix, it’s a great way to pass 56 minutes of your life! The more Christmases…the better? This comedy, starring Reese Witherspoon and Vince Vaughn, follows a couple as they unexpectedly have to visit each of their families due to canceled flights. Turns out this Christmas, was the exact opposite from a relaxing vacation. From crazy relatives to family fights, this movie is a must-add to your list! Need a romantic getaway without the romance? Yeah, not happening. A chance home exchange (think Airbnb) between 2 overworked and love sick women, played by Cameron Diaz and Kate Winslet, drive them out of their towns in LA and London for holiday vacation in search of solitude and absolutely NO MEN. But this so called oasis that clearly doesn’t exist makes a recipe for a delightful and heartwarming rom-com. You WILL cry happy tears! The ultimate xmas rom-com! The film follows eight couples during the holiday season with stories that make your heart ache, stories that make you believe in the magic of the season, and stories that make you laugh, your belly hurts. Starring a huge star-studded cast with killer music, you’ll laugh, you’ll cry, and you’ll want to watch this holiday movie every December! 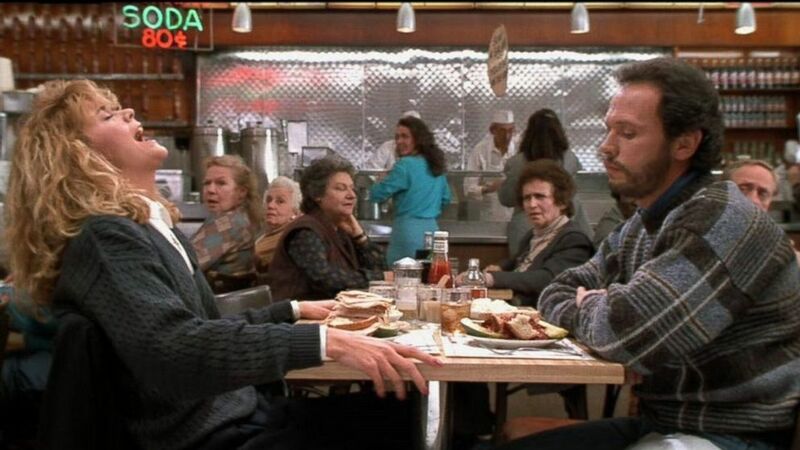 Romantic comedy veteran Meg Ryan and comedian Billy Crystal star in this filled with horrible first impressions, chance encounters, relationship struggles, commitment issues, and eventually friendship over a 10 year period. But can a man and a woman really, utterly, and ultimately live together in this world as just friends?? Okay, we’re being a bit dramatic but with this pair, we can’t help but hope for something more in this classic and timeless film. Christmastime shopping in New York brings Sara (Kate Beckinsale) & Jonathan (John Cusack) together, and it’s a magical love-at-first-sight situation. I mean, if you and a guy share the same taste in gloves, that’s love (kidding, not kidding). 10 years later, and 3,000 miles between them, Sara and Jonathan are brought together again by serendipity. Indeed, this love story makes us believe in destiny and the magic of Christmas. Shoutout to all the 90s babies who grew up during the Tim-Allen-as-Santa-Claus era. Tim Allen plays Scott, a divorced dad who recently gains custody of his son. On Christmas Eve, he accidentally kills Santa. Consequently, he is magically (and almost instantly) chosen as the replacement. Thereafter, Scott realizes some physical changes that show that he has a lot of work to do to fill in for Santa Claus before the next Christmas. If you’re looking for a light-hearted family friendly movie to watch, this is a classic you can’t miss–we definitely have this one on repeat this holiday season! Stream this trilogy on Netflix right now! No holiday movie list would ever be complete without Home Alone starring a young Macaulay Culkin. Kevin McCallister (Culkin) gets what he wishes for Christmas after an argument with his mom leads him to wish he had no family. He wakes up to an empty house with his whole family forgetting to bring him on their holiday trip to Paris. Having the time of his life gets cut short when two home burglars, The Wet Bandits, are after him & his home. But this 8-year-old has lots of tricks up his sleeves. They did it… AGAIN. This time, Kevin mixes up his flight and spends the holidays alone in the big apple full of extravagant toy stores and the lousy robber duo making a comeback, newly named the Sticky Bandits. By the way, Culkin lived his on screen unlimited ice cream and candy room service lifestyle off screen by earning $4,500,000 for the film. Yup, our childhood fantasies of the past are extremely jealous right now. Meeting the family for the first time is never easy. Especially for someone as uptight and polished as Meredith (Sarah Jessica Parker) meeting the likes of Everett’s (Dermot Mulroney) non traditional and free spirited family during the holidays. Failing to leave the right first impression, Meredith calls her sister Julie (Claire Daines) to her aid to ease all the tension, which ultimately backfires and makes the family dynamics… even more complicated. This comedy captures every awkward reunion you might have ever had with your family and then some. Not your run-of-the-mill holiday movie, Rise of the Guardians is a movie based on the children’s book The Guardians of Childhood by William Joyce. Joyce captures the story of guardians: Santa Claus, the Tooth Fairy, the Easter Bunny, and the Sandman. Children of the world are in danger from Pitch Black (the Boogeyman), who is giving them all nightmares. Surprisingly, they enlist Jack Frost to their team of guardians to help defeat Pitch. The movie tells an epic story of the guardians protecting children of the world, and is cause for us to believe a little ourselves. Based on the children’s book, The Polar Express by Chris Van Allsburg, the film begins with a doubtful boy who witnesses a train known as the Polar Express heading to the North Pole. Subsequently, the boy meets and befriends other children aboard the Polar Express. All in all, it is a tale of self-discovery and inspires the audience to believe. It doesn’t any any more classic than this. Can you believe this film first came out in 1946, and continues to be a part of Christmas traditions? It’s a Wonderful Life follows the life of George Bailey, played by James Stewart. If you haven’t seen this feel-good holiday movie, we won’t give too much away, but it’s a story of self-sacrifice, second chances, love, and…well, the magic of Christmas! In 2007, we were blessed with this heartwarming comedy-drama film. The Whitfield family deals with the same family drama we all face during the holidays, so this film is sure to bring up some real emotions for most! If you shed a few tears, we’re not judging, and we won’t say anymore. 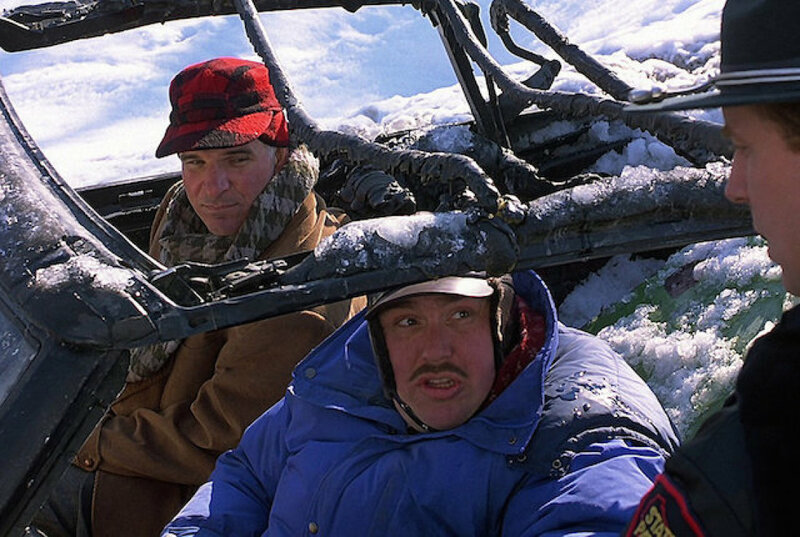 This is def going on our re-watch list this holiday season! Based on the Broadway hit musical, this colorful drama captures a spirited group of East Village New Yorkers in the 90’s battling their day to day careers, chasing their aspirations, and struggling to pay rent. It brings a powerful and inspiring message on the effects of the AIDS epidemic in the community filled with melodic and catchy musical numbers, bringing light to what’s important as the seasons change in every person’s 365 day period. Jack Skellington, the pumpkin king of Halloween Town, feels like something is missing in his dark world full of constant terrors, fears, and nightmares. 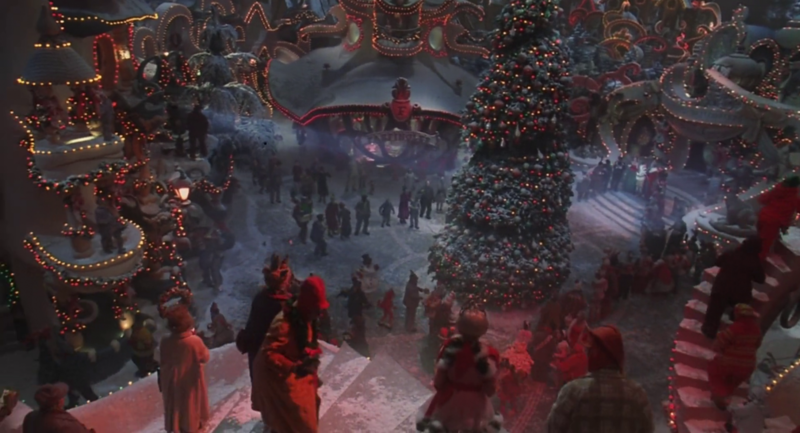 When he stumbles upon Christmas town, he is instantly ecstatic at the idea of sharing the magical and bright spirit of the holidays to his people (er, we mean ghouls and goblins) which causes major confusion and ultimately leaves Christmas in danger. It’s all the great things you would expect in this Tim Burton stop-motion movie with a twist! A beloved Dr. Seuss story adapted into this live action movie starring Jim Carrey as the Grinch will give you Christmas feels like no other. When the Grinch decides to ruin Christmas for the citizens of Whoville, the Whos are determined to stay positive and remain in spirit. Add this heartwarming film to your watch list this holiday season! This one’s also available for streaming on Netflix. The classic Christmas story of bitter Ebenezer Scrooge is told year after year. In the Christmas Carol, Scrooge (Patrick Stewart) is visited by 3 spirits from his past, present and future. On each occasion, he reflects on the relationships he has and transforms his behavior after that fateful night. Patrick Stewart captivates in this picture, and we kinda prefer it over the animated Jim Carrey version. It’s one of the classics that we def don’t mind throwing back! Holiday movies are a tough to pull off, and for some of these, we’re thankful that they made it to the big screen in our lifetime. If you’re looking for a movie (or two, or three) to watch this season, we hope you find some new (or old) faves from our holiday movies list! Nothing beats Christmas in New York City and Miracle on 34th Street captures it all! A 90’s classic featuring Elizabeth Perkins, Dylan McDermott, and Mara Wilson. When the Cole’s department Santa (aka the real Santa) is in trouble, it is up to a lawyer and little girl to save Christmas. With a great Christmas album and Mara Wilson’s quick wit, this movie will become a family tradition! Known for its soundtrack and the famous Christmas Tree, Charlie Brown Christmas is a Christmas special that can not be missed. The Peanuts gang prepare for a Christmas play that Charlie Brown ends up directing. He is determined to find the true meaning of Christmas. A classic for so many reasons, this special will make you want to sing carols all day long. Countin’ down the days until Christmas with this Netflix Original! Abby (played by Kat Graham) inherits a magical Advent calendar from her grandfather and each day gives a clue to her destiny. Torn between her childhood friend and her perfect man, Abby will have to choose what she wants for herself. In an era of Meghan Markle obsessions, where an ordinary girl can turn royal, Vanessa Hudgens lives out our royal dreams in The Princess Switch. When a duchess and a lookalike (more like identical) baker from Chicago meet each other, they decide to switch places. Assuming their new identities, they both meet eligible men with whom they each fall for. With cheesy British accents and cringe moments, this Netflix original will be the perfect movie to watch on a night-in–and laugh about with your BFFs. Kurt Russell is the new Santa and he’s coming to town! Two siblings decide that they want to capture Santa on video, but little did they know that their night would turn into an unexpected adventure to save Christmas. This movie fulfills the features of a classic Santa with some new modern twists. Christmas + Royalty = the perfect formula for a good “bad” Christmas movie. Amber, an aspiring journalist, goes undercover as a tutor to discover the truth about the Prince. While she investigates, she falls in love with the Prince and has to decide what she will prioritize: Love or her career. The Christmas Prince is back for a sequel! This time around Amber is juggling her new royal fame, a wedding, and Christmas in the castle. Her blog is also in jeopardy following her new royal status. During this Christmas season, Amber will have to decide if she wants to follow tradition or make her own mark on the family. What is better than a One Tree Hill reunion? A One Tree Hill reunion AND a Christmas movie! Jolie (played by Hilarie Burton) is recently single and dreading going home for the holidays, especially since her ex will there with his new girlfriend. Luckily, her best friend (Danneel Ackles) steps in and has her brother (Robert Buckley) agree to date Jolie for the holidays. All this leads to the ultimate Christmas Contract! If you can’t get enough One Tree Hill, Chad Michael Murray stars in Hallmark’s Road to Christmas. Maggie (Jessica Schram), a producer of an annual Christmas special, is assisted by the host’s son (Murray) to create the special’s first live show. Putting their differences aside, the two road trip cross-country to gather pre-recorded clips that will make the live show even better. Along the way, they start to fall for each other (duh). This movie definitely belongs in the Best of (Good) Bad Holiday Movies list! For all you Walking Dead lovers, this is the Christmas movie for you! Anna and her friends are forced to fight the undead when a zombie apocalypse threatens her town on Christmas. This film has a twist…it’s also a musical! An oldie but a goodie! With the pressure of her family getting to her, Trudie (Melissa Joan Hart) decides to kidnap David Martin (Mario Lopez) and force him to be the boyfriend she brings home for the holidays. With a few escape attempts, he finally goes along with the scheme knowing that the police will come looking for him. A blend of romance and comedy, this movie is just a friendly reminder that no family is perfect!